Brahmatal is a high altitude lake believed to be Lord Brahma’s favourite meditation spot. You’ll trek through oak forests and over mountain streams, meeting pink-cheeked children and friendly locals en route. 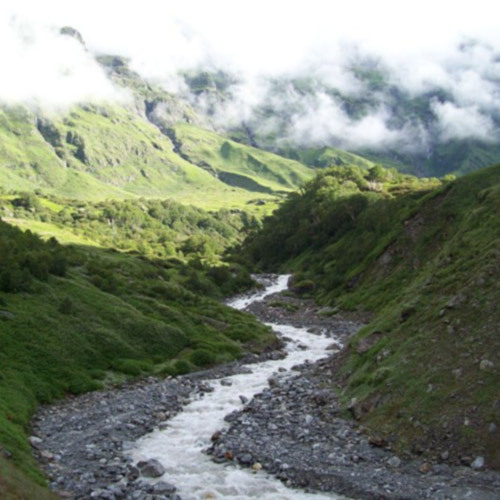 Know more about the Brahmatal trek. Enquire about the Brahmatal trek. 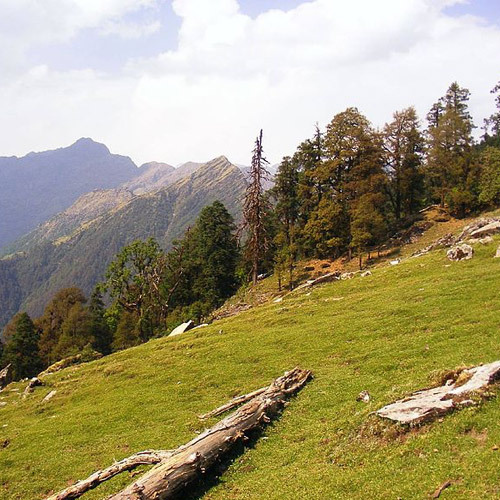 The Brahmatal trek starts in the mountain town of Kathgodam, winding past quaint Himalayan villages and settlements. As you gain altitude, you’ll leave civilization behind. The mountains surround you, and offer some out-of-this-world views. Once you reach Brahmatal lake at 12,250 feet, you will be able to see the three magnificent pointed peaks of Mt. 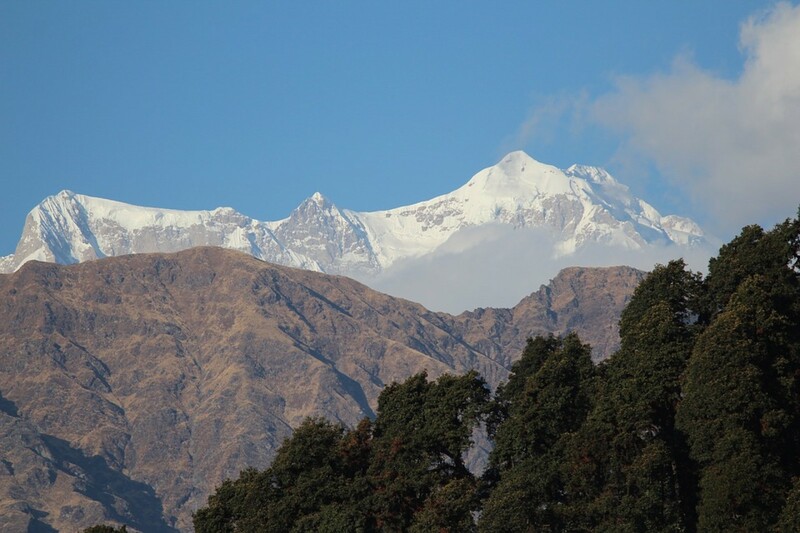 Trishul, shining white and gold, and Nandaghunti standing tall in the Nanda Devi Sanctuary. The Brahmatal trek is beautiful year-round, and takes you through rhododendron and oak forests, stopping by mountain streams along the way. In summer, it is peaceful, and listen to the sounds of the forests as you walk: birds singing and the scampering of little animals. In the winter, it is considered a hidden gem, with almost no crowds to ruin the experience. You’ll spend time admiring the winter scenery; camping beside frozen lakes fringed with pine trees, and enjoying the snowy route. The great peaks in the Himalayas wear a beautiful white blanket during the winters, but when you reach the frozen lakes of Bekaltal and Brahmatal, you’ll gasp in awe. 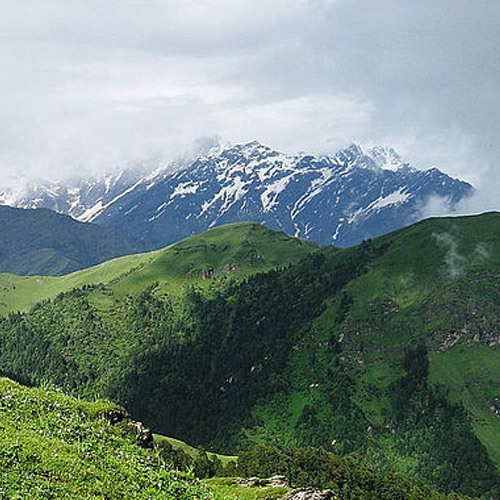 December to February is the best time for Brahmatal Trek. The misty haze that envelops the mountain peaks in May-June and obstructs the view lifts, and you get cracking mountain views. From the top of Brahmatal, you can see the Himalayan giants up-close and under blue skies that stretch across the horizon. 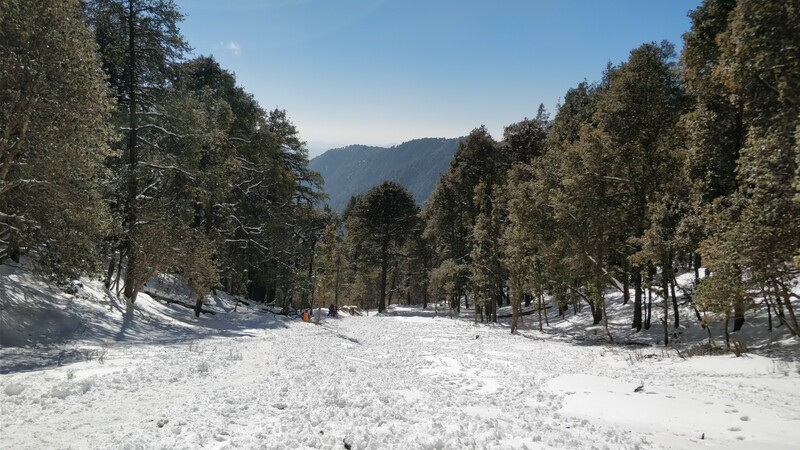 Some of the best memories of the Brahmatal trek will be the full winter trek experience: you’ll get to pull on those boots and head out into the snow. 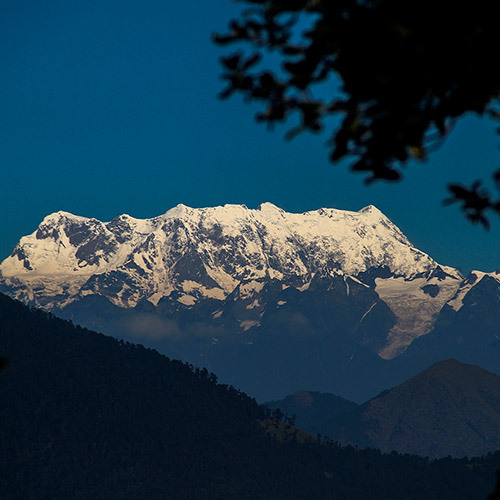 You’ll walk through peaceful pine forests and camp on the banks of frozen glacial lakes, and you’ll always have towering Himalayan peaks around to admire. Looking for more adventures? 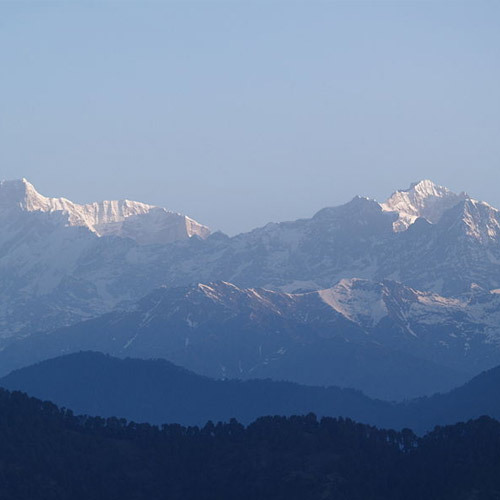 Read our post about Top Adventures in Uttarakhand . 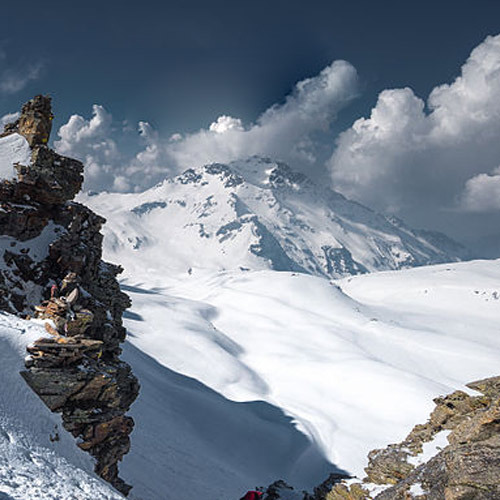 If you’re a beginner looking for snow treks, check out Top Easy Snow Treks in India. 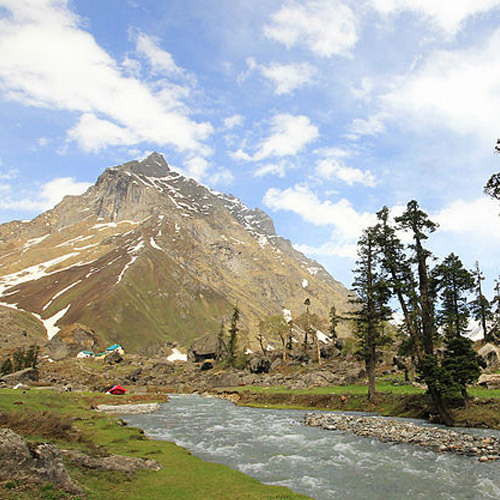 The Brahmatal trek is a gorgeous 6-day adventure that takes you to the high-altitude, Himalayan lakes of Bekaltal and Brahmatal. You'll spend hours every day trekking across mountain ridges with dense woods. 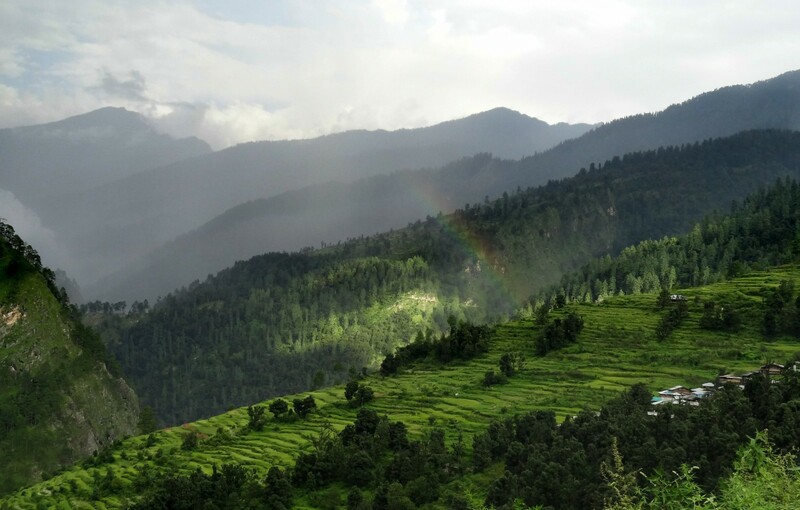 En route, you'll breath in the stunning beauty of Uttarakhand's mountains, rivers and forests. At night, you'll stay in tents pitched besides the clear and still waters of the alpine lakes. In the months of winter, the Brahmatal landscape turns white with heavy snow, allowing you to get better views of the snowy mountain slopes and pine trees. Another highlight of the trek to Brahmatal, you'll trek to Brahmatal top to get breathtaking views of higher Himalayan peaks like Kamet, Ghori Parvat, Hathi Parvath, Trishul and many more. NOTE: Prices displayed are per person prices for a booking of 4 travellers. 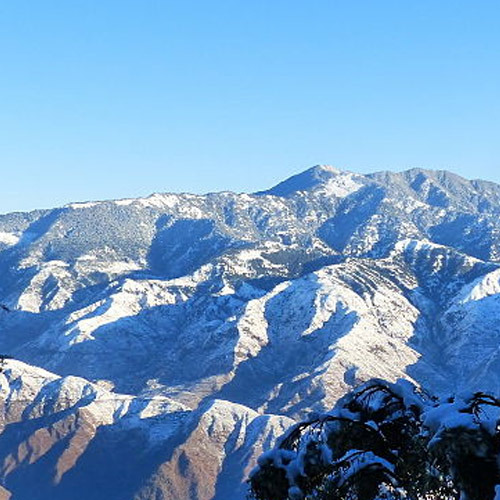 This 6-day easy to moderate difficulty trek is one of the few winter trekking options available to an avid hiker. This lake is opposite Roopkund, where the famed mystery human skeletons lie. 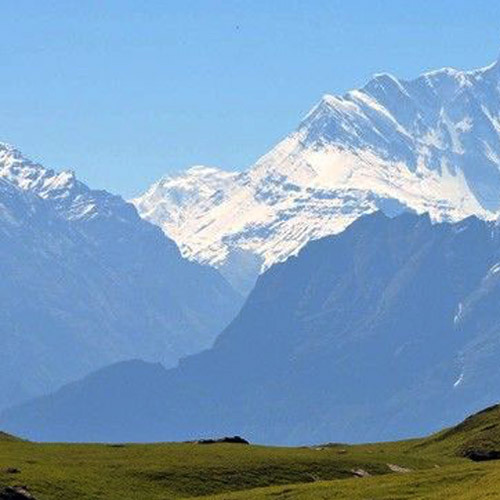 On this trail, you'll get spectacular views of legendary peaks like Trishul, Nanda Ghanti, Chowkhamba, Nilkanth, as well as views of the sprawling Ali Bugyal and Bedni Bugyal, both meadows that are covered in snow. This is the closest you'll be able to get to these peaks without actually climbing them. You'll also get to camp at two frozen glacial lakes, and hike through silent conifer forests. The forests are calm and peaceful, with sounds muffled by the snow, and once you cross the tree-line, you'll start seeing mountain views like you've never seen before. When should I go to see snow at Brahmatal? From late December onwards, the snow begins to carpet the landscape around Brahmatal. You can book your snow trek to Brahmatal anytime between December and February. How difficult is the Brahmatal snow trek? 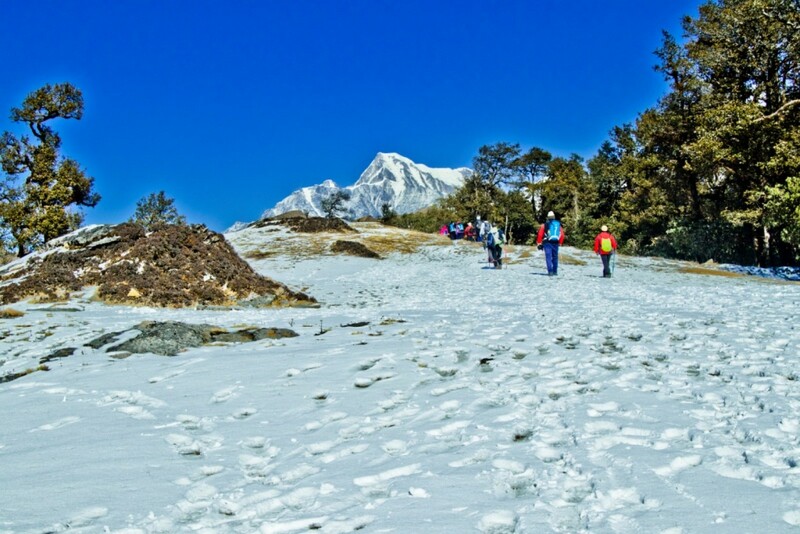 The Brahmatal snow trek is not difficult, so is suitable for fit beginners. You can expect some steep stretches along the trek. Because it takes place in winter, the mercury will drop quite low, so expect temperatures from 3-10 degrees Celsius. At night it could drop as low as -4 degrees Celsius. What should I carry for the Brahmatal snow trek? Your Brahmatal trek operator will provide you with all the camping gear you need, but you will need to carry your own clothing and snow gear. Make sure you have thermals, warm layers, a snow jacket, trekking boots, and a warm hat and gloves. Do go through the packing list provided by your operator to ensure you have all the required gear. Can I do the Brahmatal trek in other seasons? Yes, the Brahmatal trek is possible throughout the year, except in the monsoon. You’ll see very different landscapes depending on which time of the year you go.